January, 2011 | Michelle Yoga - Victoria, BC. Our trip south started off with a rocky ferry ride to Port Angeles, as we were getting some fresh air I got hammered by a giant wave that broke over the bow much to the amusement of the 50 or more passengers watching from inside, and Steven. Steven managed to stay dry, but I was soaked from top to bottom… awfully suspicious if you ask me!! From there we went straight to the Ring of Fire restaurant in Eugene, Oregon, which came highly recommended as the best Thai food outside of Thailand. We were not disappointed but learned quickly not to order our usual starter and main coarse each while eating in the States if we plan on walking as appose to rolling out of the restaurants. After spending a night in America’s nastiest hotel room, we decided to splurge on a nice room in the biggest little city on Earth, Reno, Nevada. Gambling in Nevada… I only lost $20 so I can wrap it up to a cheap thrill. The doodles loved the deep powder at Mammoth Lakes, California, during our three-day ski extravaganza. Mammoth is the best skiing in North America that I have experienced thus far and we sure loved every turn! It could have something to do with the 8 feet of snow @ the base of the mountain and the amazing hospitality or furry family received. (Look out for a Yoga / Ski retreat in the not so distant future.) We made it to Malibu, California, and have been enjoying time with Steven’s family for the last week. The yoga junkie that I am I have been taking advantage of every possible moment I can get with one of my favorite teachers Lauren Petersen at Malibu Fitness and Yogis Anonymous (Santa Monica, CA) = plenty of new poses and tricks to share. I even taught a yoga with music class @ Yogis Anonymous which was different and fun. We’re getting very excited to get back on the road, south to San Diego and beyond! Top tip: don’t try to learn to drive a monster truck on a ten lane freeway at dusk in high traffic J no matter how much Pranayama you did that morning you are still going to break a sweat and scare the hell our of your passengers! XoXoOXoXO Michelle, Steven, and our Doodle crew. I will be posting photos and videos from the trip in the coming days / weeks on my blog and facebook. We still have a few spots left for those of you who are getting tired of rain, snow, cold, work etc…. We will be in the Baja on the Sea of Cortez (the kite boarding capital of Mexico) for some fun, sun and YOGA! Appropriate for all types of yoga students… with an array of weeks to choose from. Weeks 1 – 4 ( Jan 15 – Feb 11 ) :: beginner – intermediate morning practice, then a selection of philosophy, alignment, anatomy and physiology classes in the afternoon. Weeks 5 & 6 ( Feb 12 – Feb 25 ) :: beginner – intermediate morning practice followed by an afternoon of advanced workshops . Meditation, Pranayama and Yoga band optional and FREE for everyone every day! Week 7 ( Feb 25 – March 4 ) :: Friends and family week a.k.a. party, play & free yoga! :: all classes taught by recent graduates from the teacher training program. Prices starting @ $220 / week. 3. Spring Classes :: Register Now! Classes are almost completely full, so register now to hold your spot for my classes this spring: April 4 - June 30th. A very nice New Years letter came from Deenabandhu. 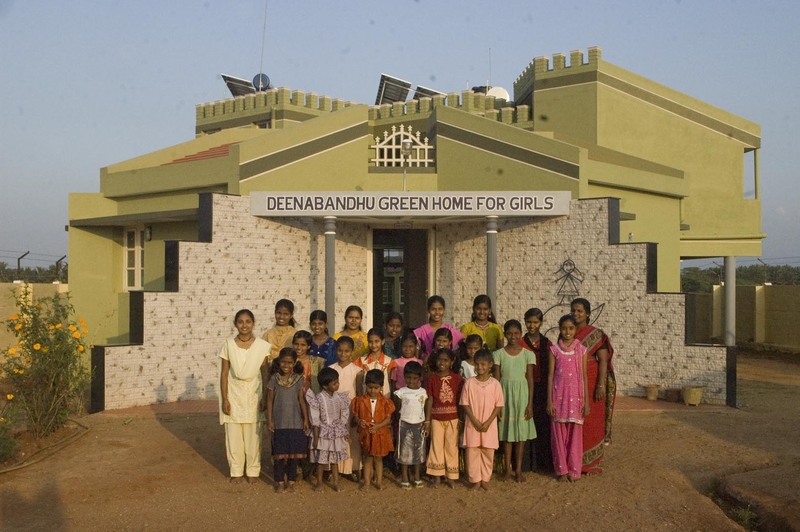 The girls are loving their 'Green Home'! So glad that we were able to help them! !